The 2015 Academy Awards show was exactly what I thought it would be: few highlights, a scarcity of laughs, no surprises and one green card joke. What is supposed to be Hollywood’s greatest event is no longer special, and the blame does not fall solely on a tamed Neil Patrick Harris. When audiences remember more jokes and moments from the Golden Globe than the Oscars, maybe it’s time for producers to shake things up. 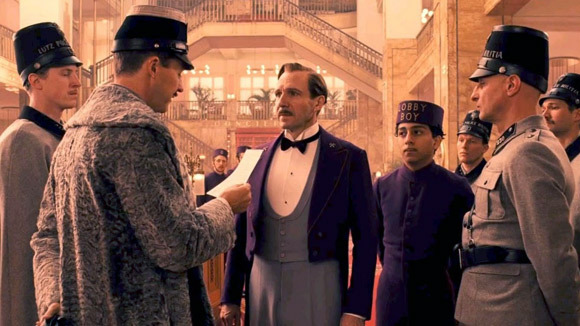 I penciled in Wes Anderson and Hugo Guinness to win for The Grand Budapest Hotel, but it was Birdman’s Alejandro G. Iñárritu, Nicolás Giacobone, Alexander Dinelaris, Jr. and Armando Bo whom walked away with the golden statue. They quartet were well deserving of the prize, but I could not help but root for the beautiful world Anderson created. I was glad to see Dan Gilroy get a nod for the most under-appreciated film of the year, Nightcrawler. Graham Moore also (unexpectedly) took home an award for Adapted Screenplay for The Imitation Game. The film about Alan Turing is well done Oscar bait, but, unfortunately for The Weinstein Company, that was be the only statue the movie reeled in. 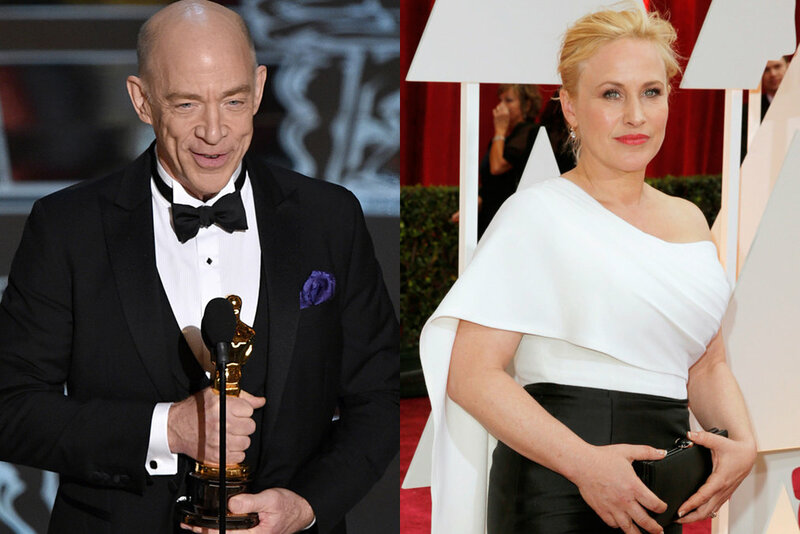 Patricia Arquette and J.K. Simmons were slam dunks in their respective categories. Though some could make arguments for the performances of Emma Stone and Keira Knightley, it was Arquette’s award to lose. Her performance as a single mother was touching, painful and remarkable. Boyhood was as much about the parents going through the motions as the young boy dealing with adolescence. Ethan Hawke was just as good as Arquette in the film, but not better than Simmons. I wish more people experienced Whiplash in the theater. It was a disturbing, yet hopeful story of a young drummer (played by Miles Teller) looking to make a name for himself, and Simmons nailed it as the controversial, sadistic teacher pushing his student mentally and physically. His performance will stay with you, as will the film. Was there really any surprise here? I was rooting for Michael Keaton because of my unrivaled love for Birdman, but it’s hard to beat well-fleshed characters in affliction. Eddie Redmayne’s performance was unforgettable, and he perfectly captured Stephen Hawkings’ personality, humor and eyes. Much like the subject his portraying, Redmayne said more with a simple glance than his characters’ days at Cambridge University. Julianne Moore was just as deserving for her performance as a middle-aged Columbia professor diagnosed with early onset Alzheimer’s disease. Still Alice is a compelling drama that was thankfully not overdone. It’s brutally honest, and it painful to watch Alice lose more of her memory as the throughout the film. Moore hauntingly loses herself in the role and slowly becomes as invisible as the character is to her family. 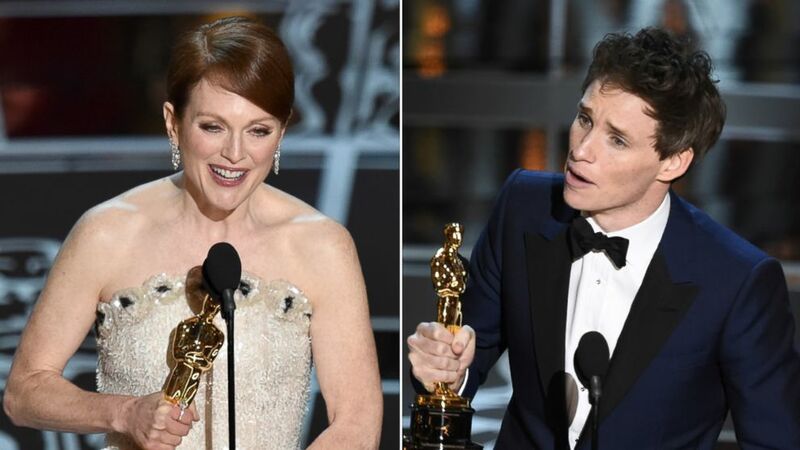 The Theory of Everything and Still Alice are difficult to watch, but rewarding thanks to the performances from its lead actors. Sorry Wes Anderson, Morten Tyldum and Bennett Miller, but this was a two-man race. Alejandro G. Iñárritu and Richard Linklater each released ambitious cinematic achievements that pushed the boundaries of filmmaking. 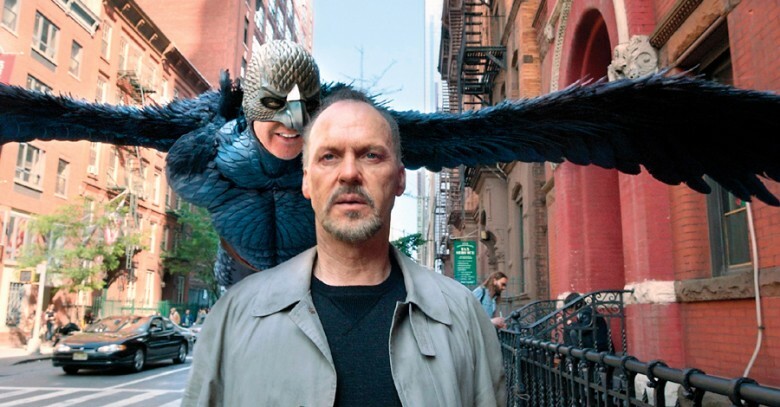 Iñárritu’s Birdman or (The Unexpected Virtue of Ignorance) is a dark satire of the current state of Hollywood told through the story of a washed-up superhero star trying to showcase his artistic chops by writing, directing and starring in his own Broadway play. 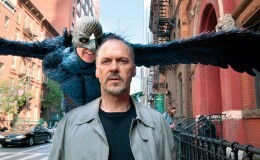 He, along with talented cinematographer Emmanuel Lubezki, shot the film as if it were a single take following the main character (played by Michael Keaton) and cast members of the play. Linklater directed Boyhood over the course of 12 years with the same actors, an idea that teeters on the line between creativity and gimmicky. Luckily for him, the movie falls on the former because of its sleek direction and stellar performances from Patricia Arquette and Ethan Hawke. Boyhood and Birdman were both deserving of accolades and acclaim, and I figured the Academy would do what it did last year with 12 Years a Slave and Gravity: give one film the best director award and the other takes best picture. 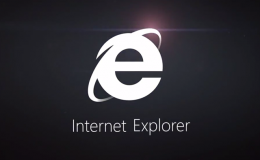 That wasn’t the case last night. Linklater was shut out of any awards for his effort, as well as his crew. Twelve years of editing wasn’t even enough to give Sandra Adair a statue. Boyhood was my second favorite film of 2014, and it is unfortunate Linklater wasn’t rewarded for his coming-of-age drama. Only time will tell how well these films are received down the road, but I guarantee Boyhood will be an experience no one will forget. It was going to be hard to bring down Riggan f*cking Thomson and his alter ego, Birdman. 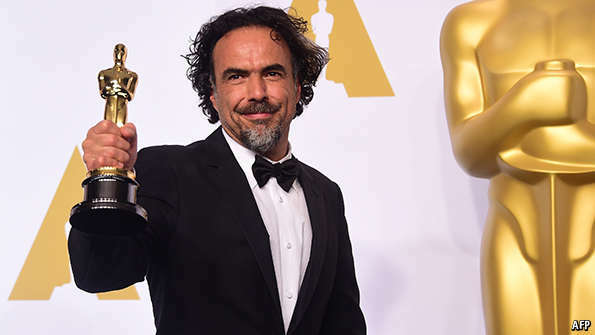 Alejandro Gonzalez Iñárritu’s latest effort had momentum in his favor going into the Academy Awards after sweeping the guild awards, and not even a Richard Linklater’s 12-year passion project could derail it. If Alfonso Cuarón set a new standard with breathtaking single-shot sequences in Gravity, then his compatriot may have just surpassed him. Birdman is a technical achievement that required a lot of patience and hard work from the cast and crew. Much like Richard Linklater’s Boyhood, Iñárritu’s film could be seen as pretentious and a gimmick, but its great script, memorable characters and knockout performances give the film heart and the sleek, innovative direction navigates us through every wonderful beat.